Family Values pointed us to 3 goals - the best quality product for our customers, the best work environment for our employees and the best paving company in Minneapolis. We continually learn and strive to fulfill these goals. Today we pave millions of square feet per year using company-owned, state-of-the-art paving equipment and the talent to use it. Our average employee has fifteen years of experience in the industry and our senior leaders and foreman have been all been here 20 years or more. Our company was founded on the principles of being the best - The best place for our employees, the best paving jobs for our customers and community service. Asphalt is an excellent option if you're looking for a long lasting, functional pavement. It's cheaper than concrete, resists frost heaves and cracking better than concrete, is less prone to damage from salts and ice melt, and it cures quicker, meaning you can use your pavement sooner after an asphalt paving installation. We’ve helped out many customers over the years and look forward to helping you. 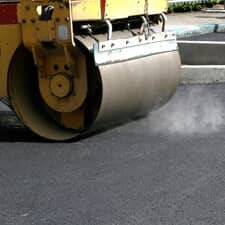 For more information on ACT Asphalt Specialties professional asphalt paving services for homes and businesses, contact us today or call us directly at (651) 484-1696.